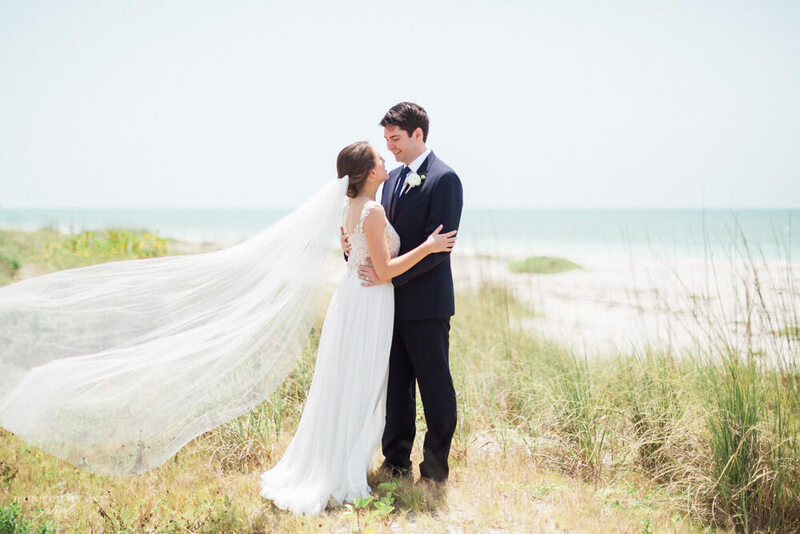 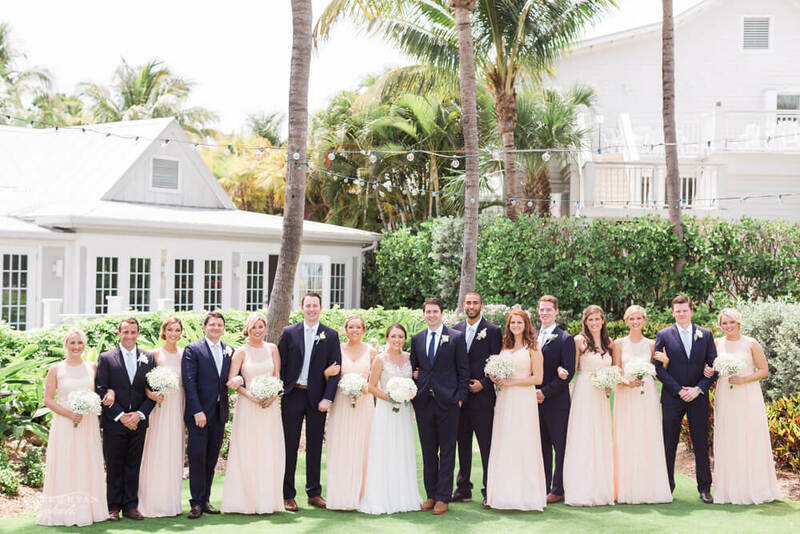 Caroline and Chris were high school sweethearts, and after dating for over ten years, decided to tie the knot on beautiful Captiva Island! 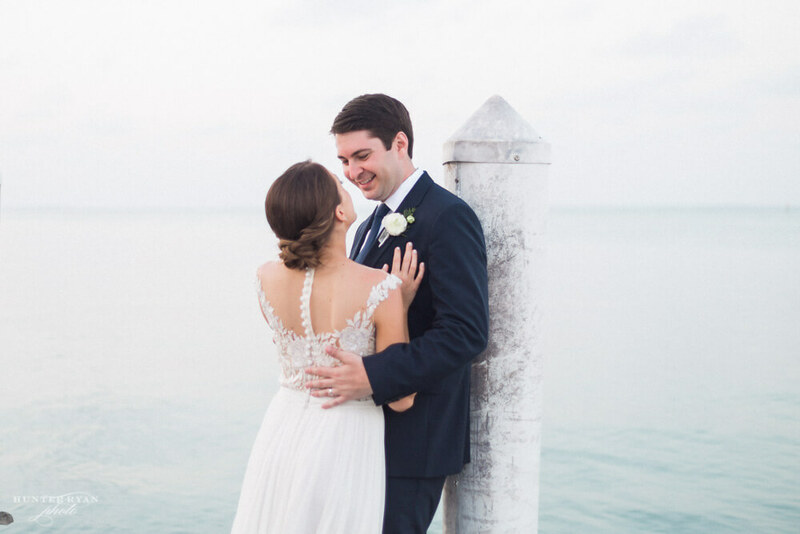 Caroline traveled to this tropical paradise as a child, so it was the obvious choice when choosing where to hold their destination wedding. 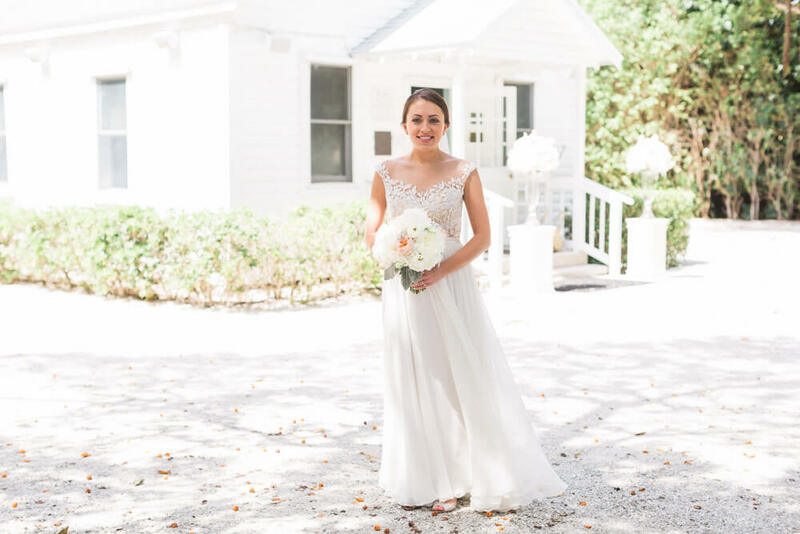 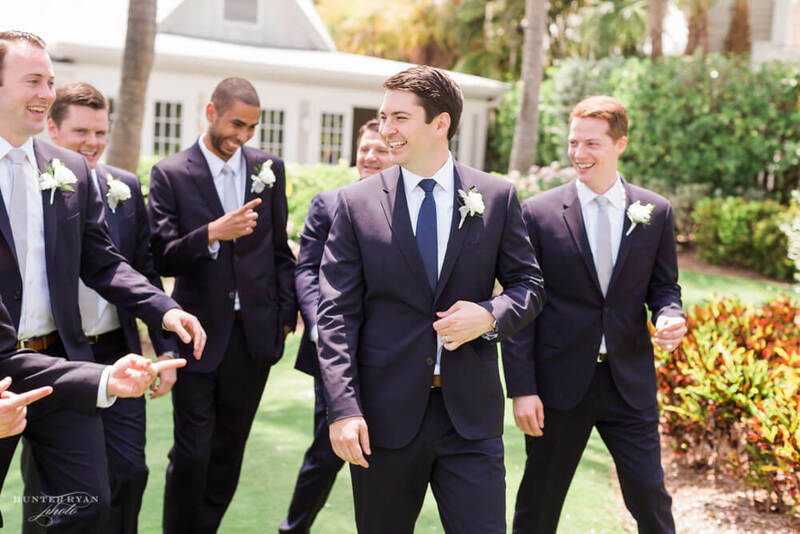 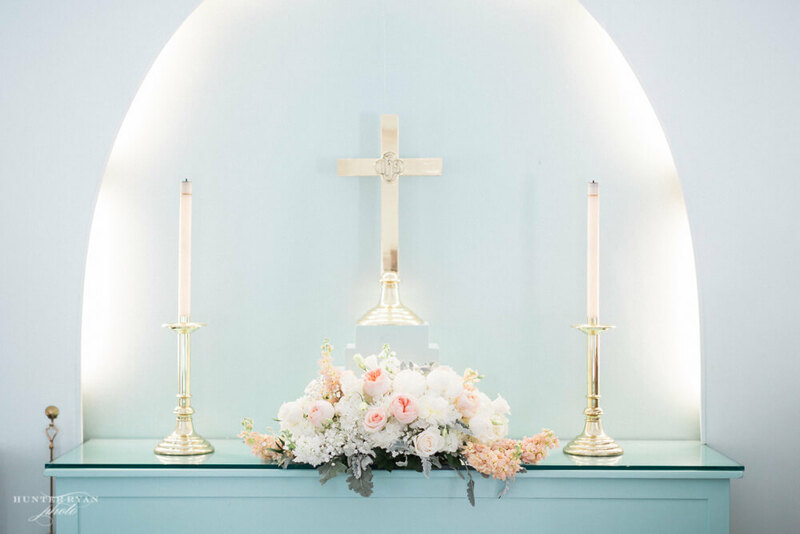 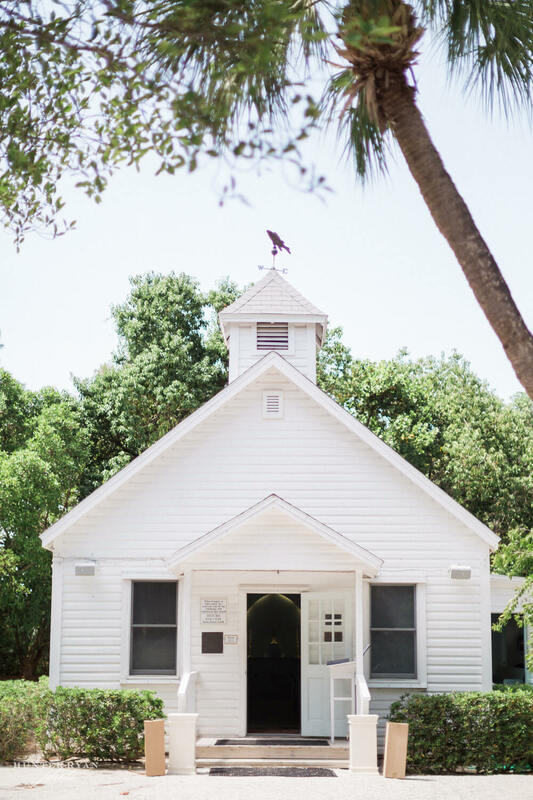 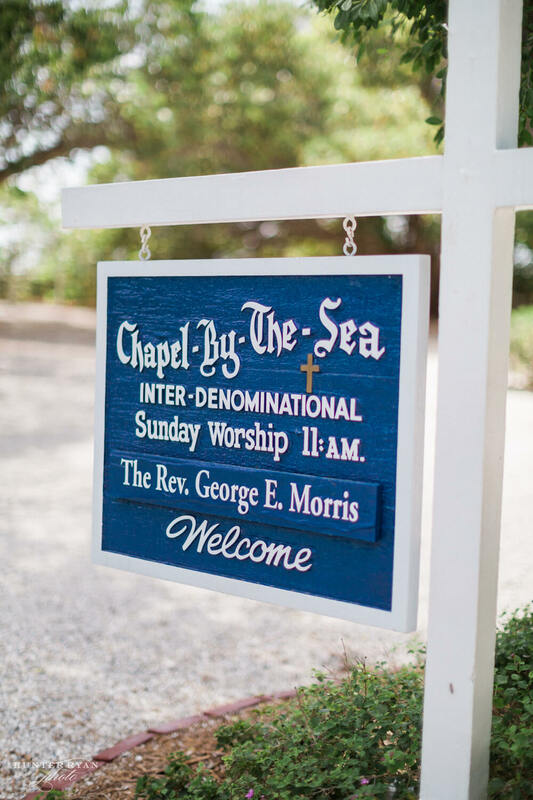 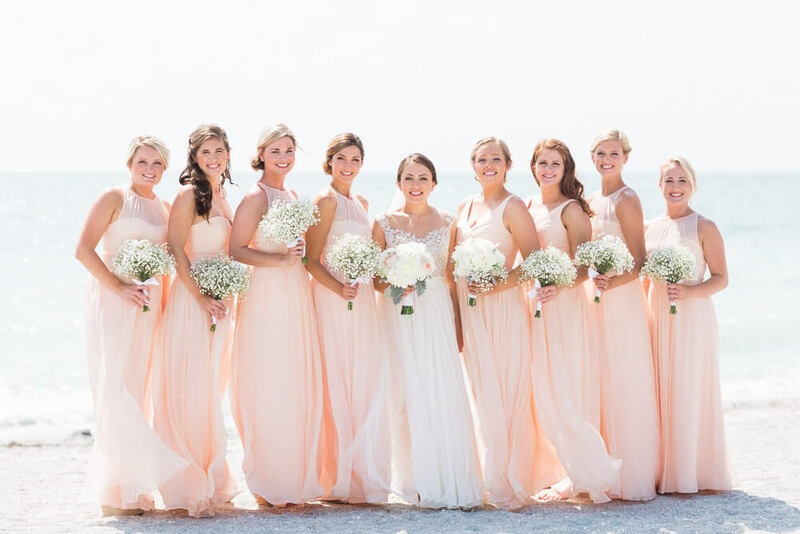 Their romantic beach wedding ceremony was held at the dreamiest little chapel…Captiva Chapel by the Sea! 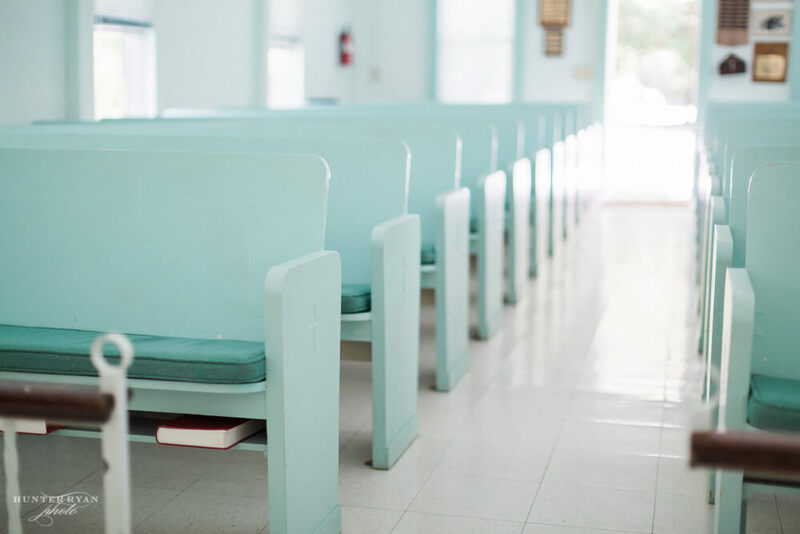 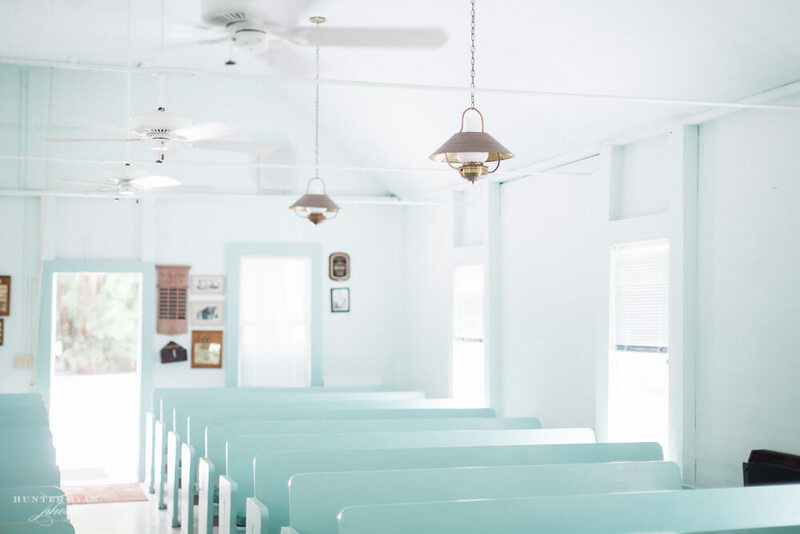 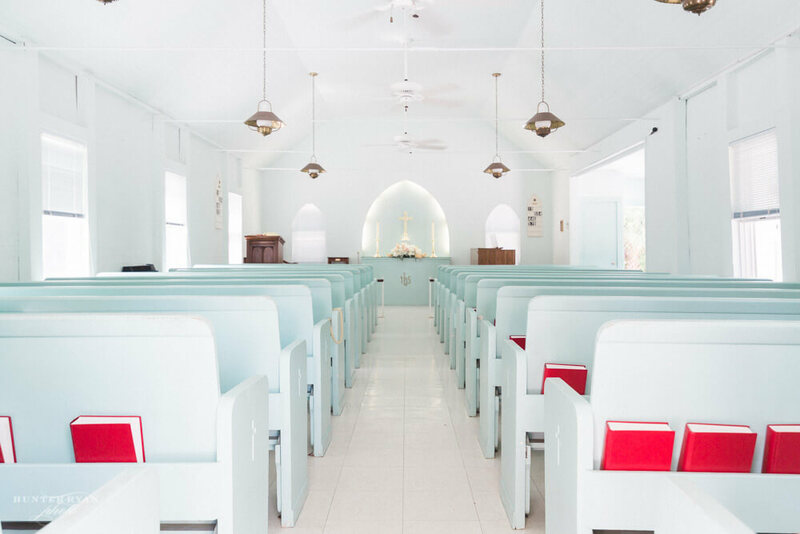 This tiny 113 year old chapel is steps from the beach, and is painted in the palest turquoise color. 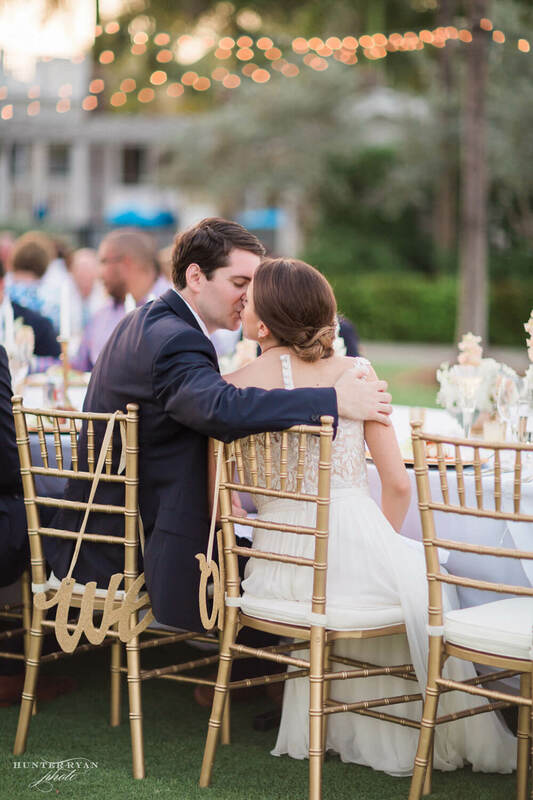 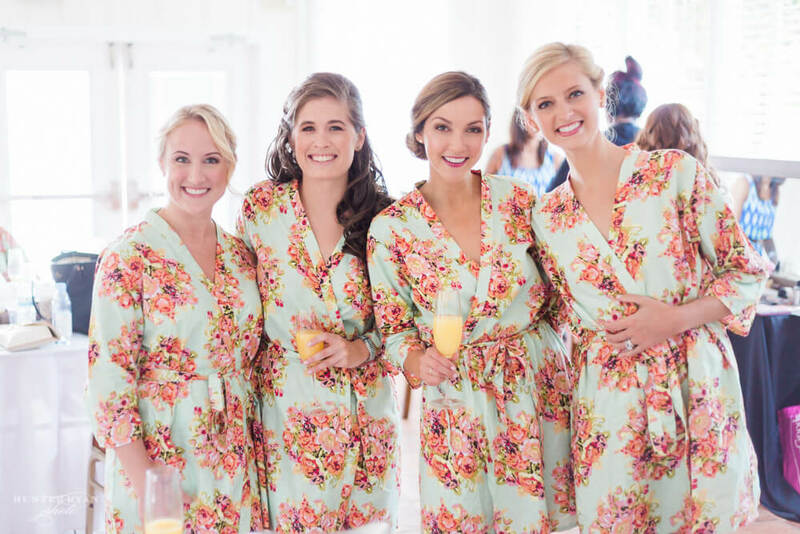 The beach chic simplicity was the perfect place to say their vows! 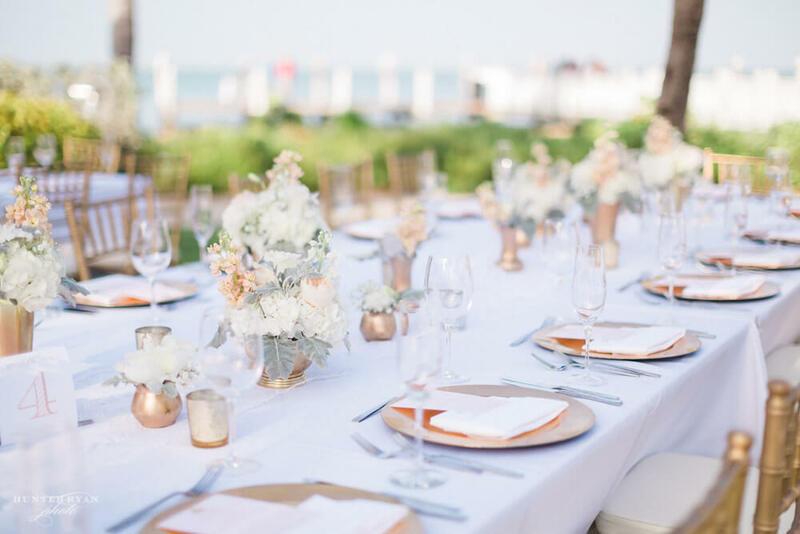 After the ceremony, guests retreated back to the the picturesque South Seas Island Resort for their romantic beach wedding reception. 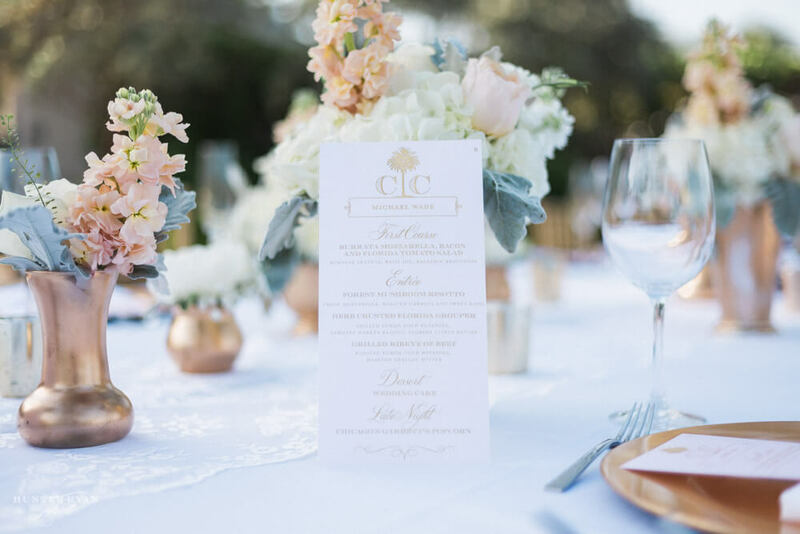 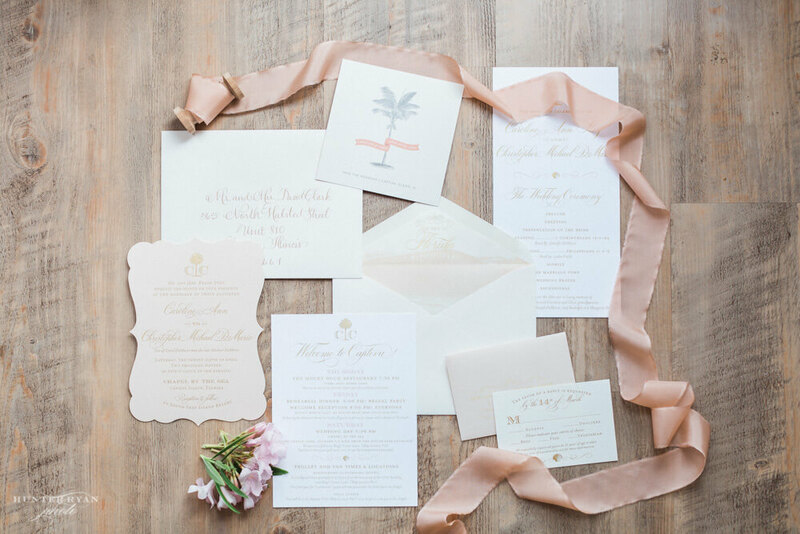 Their seaside destination wedding highlighted a romantic colorway of blush, white, and metallic gold. 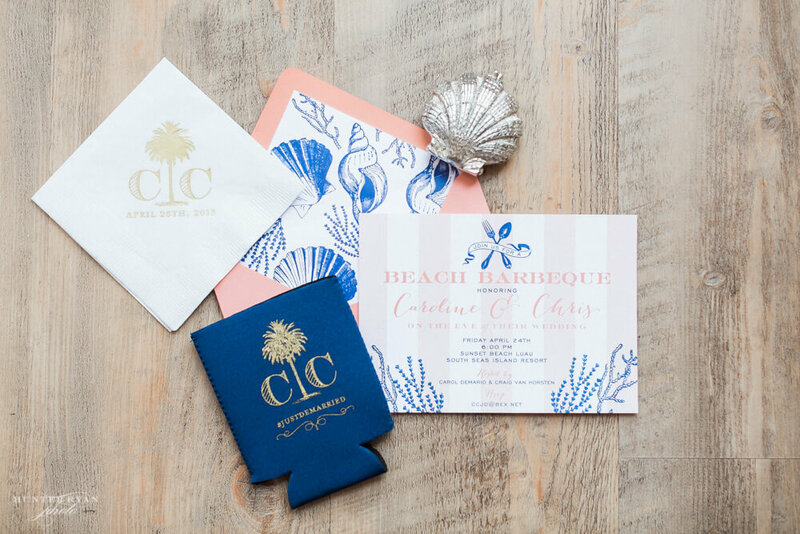 Their custom wedding monogram, inspired by the wedding’s tropical location, highlighted their initials with a palm tree. 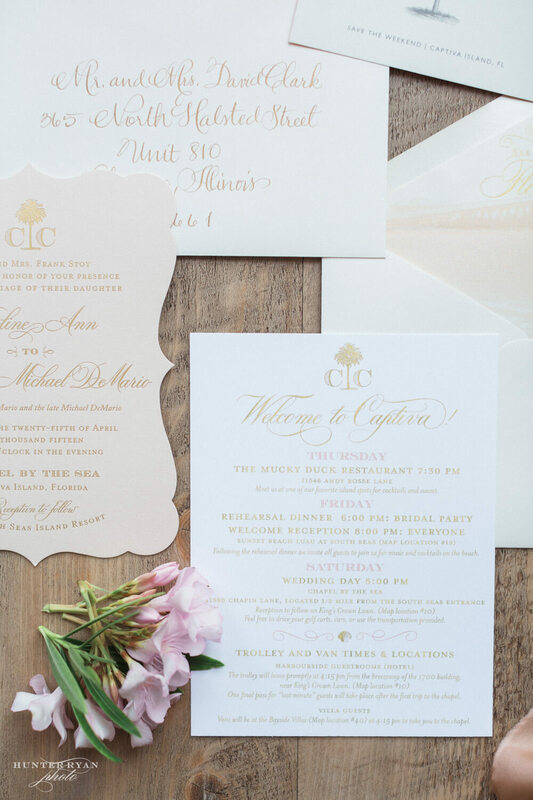 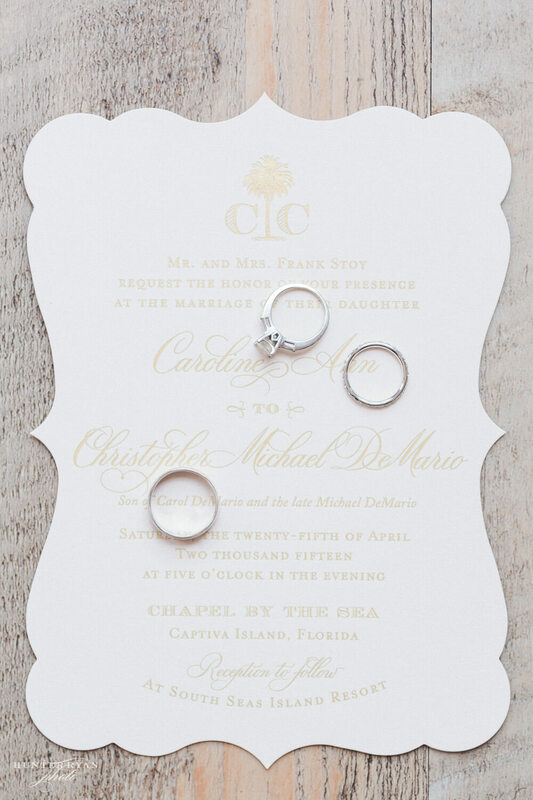 Their romantic beach wedding wedding invitations were gold foil stamped on a lovely blush paper. 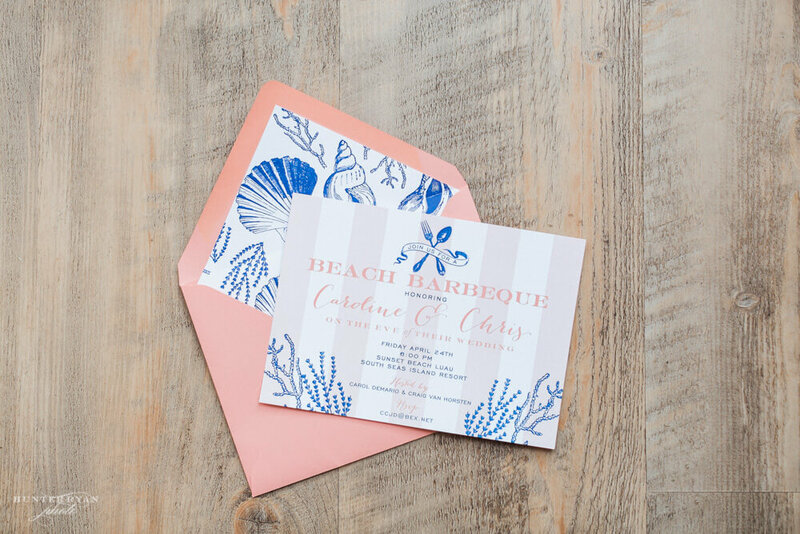 Their invitation was also die-cut, and paired with an envelope liner that said “See you in Florida.” Such a good idea to get their guests excited for their Captiva Island destination wedding! 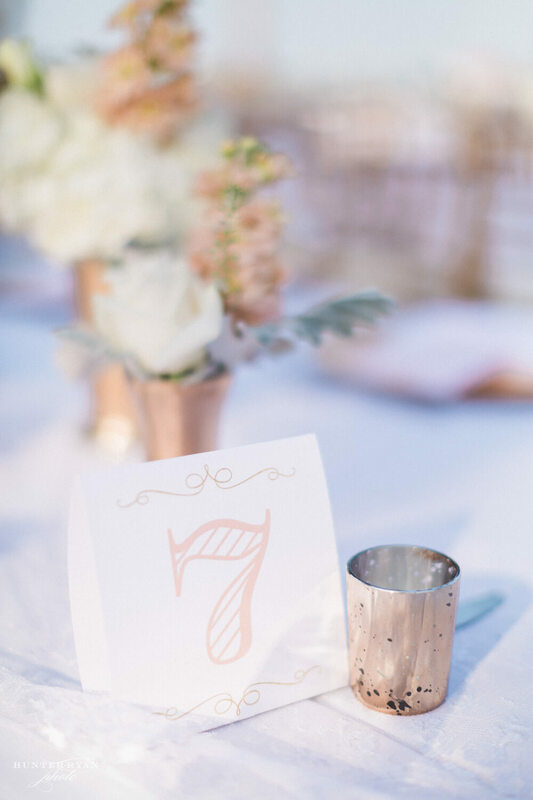 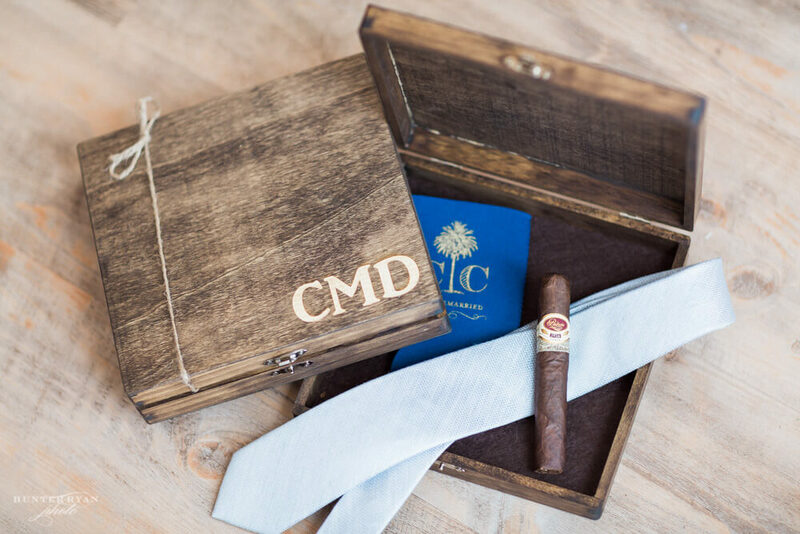 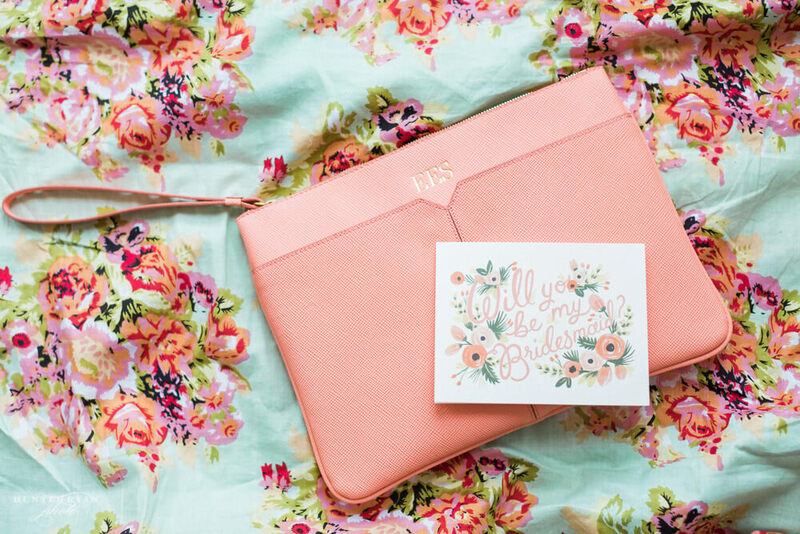 The couple’s custom wedding monogram was used on reception items such as koozies, menu cards, cocktail napkins, and wedding programs. 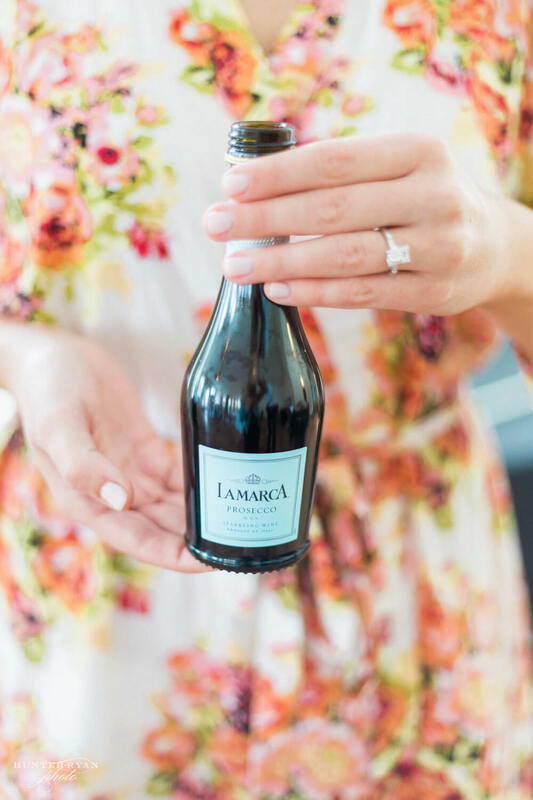 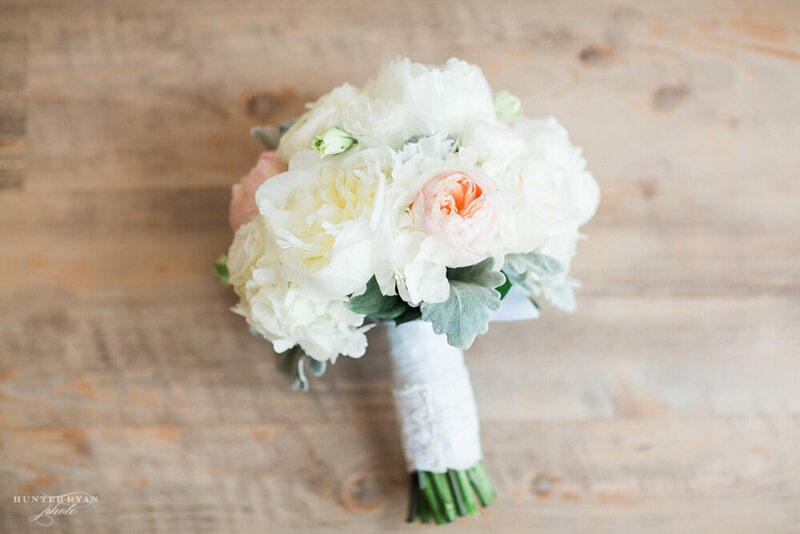 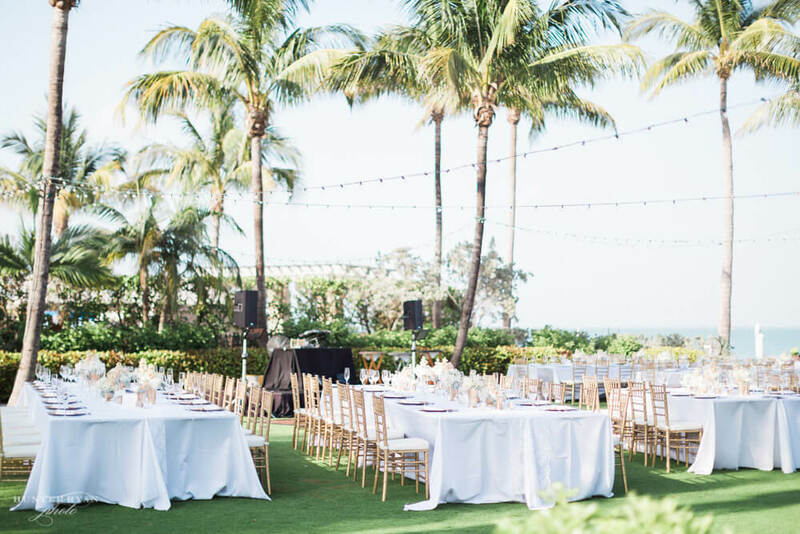 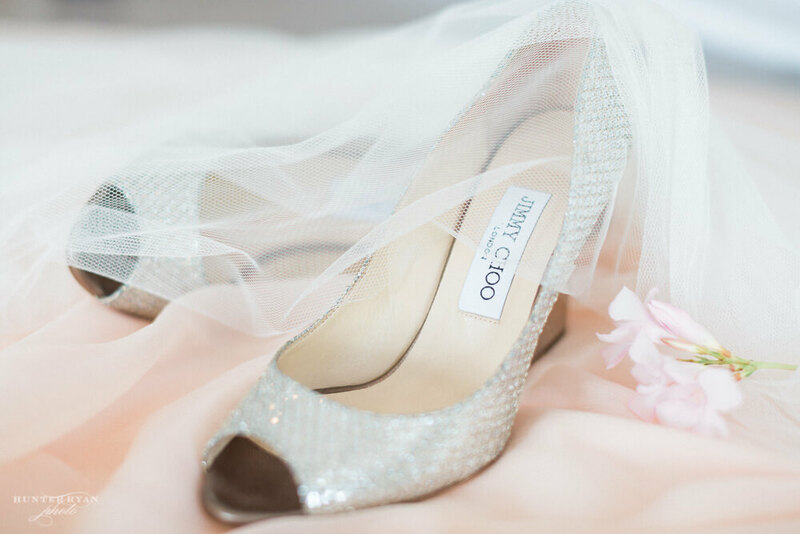 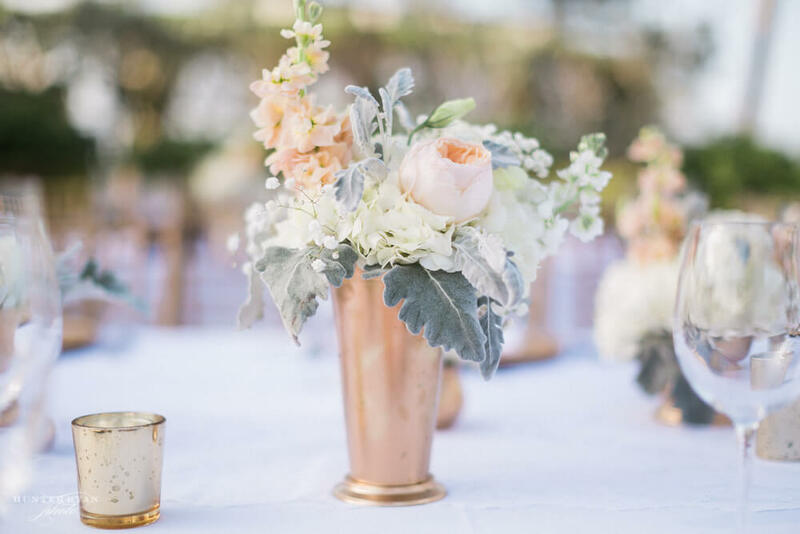 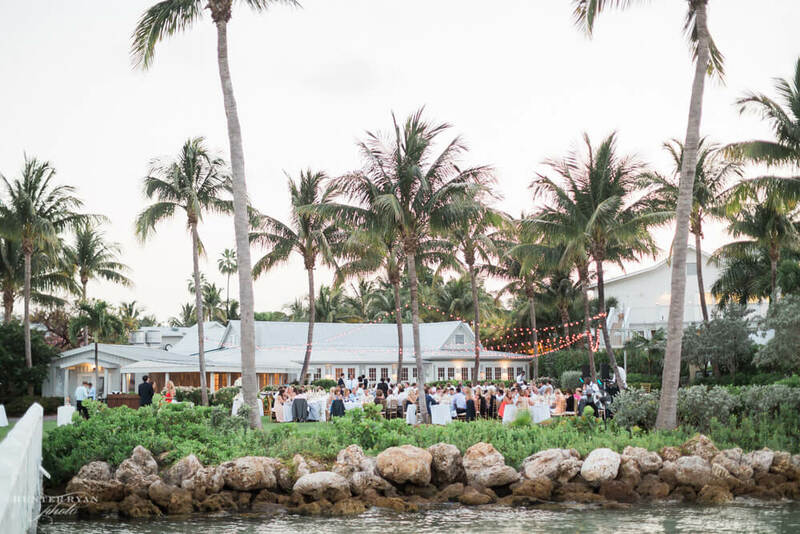 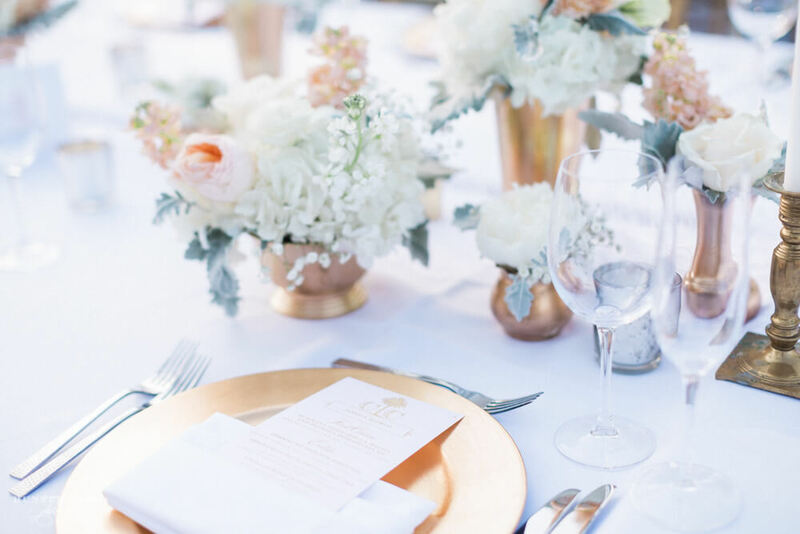 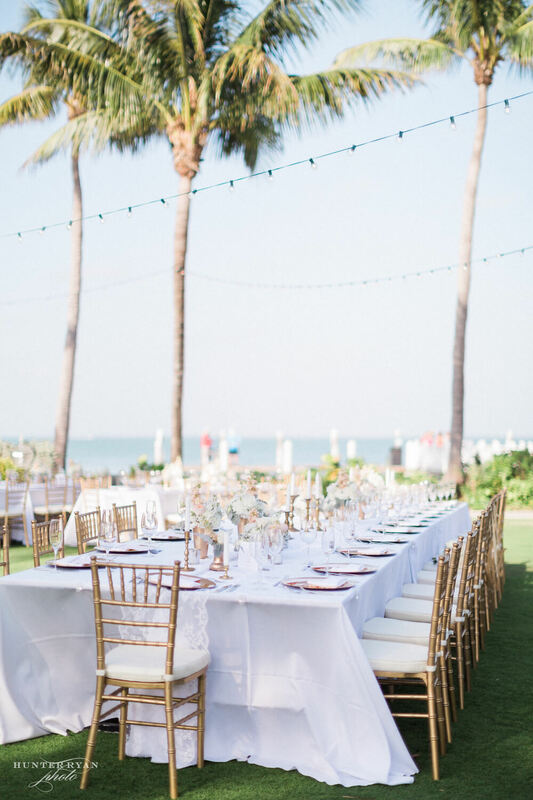 Every detail about this wedding has us day dreaming of palm trees, twinkle lights, and romantic colors. 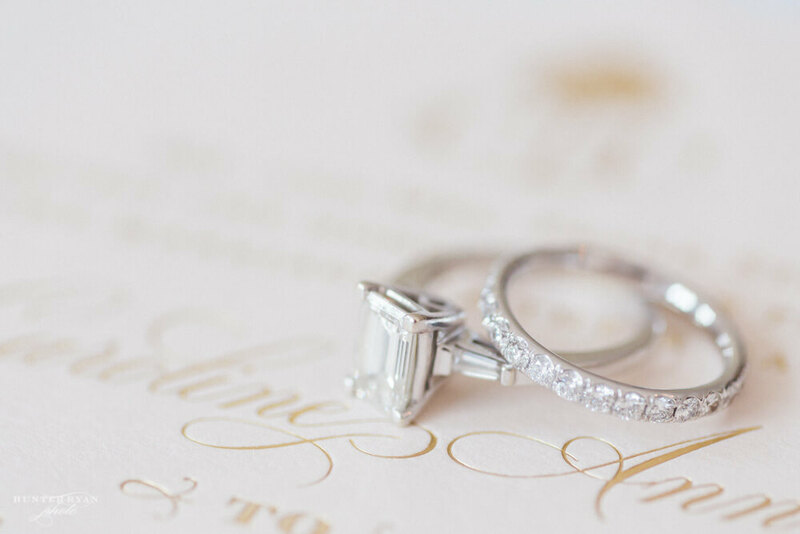 | Photography by Hunter Ryan.